This week Spotify announced a relatively big change to its mobile app. 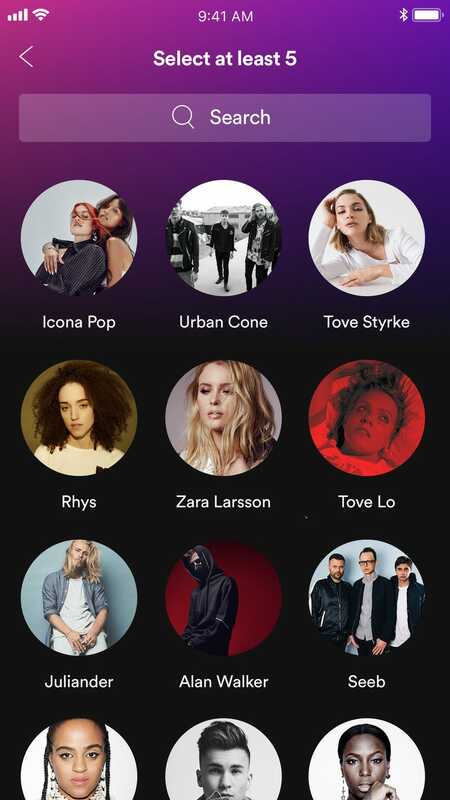 At an event in New York City, the Swedish music giant announced that users who don't want to pay up for a premium plan will soon be able to get their hands on more features, including the ability to personally choose songs on select playlists. 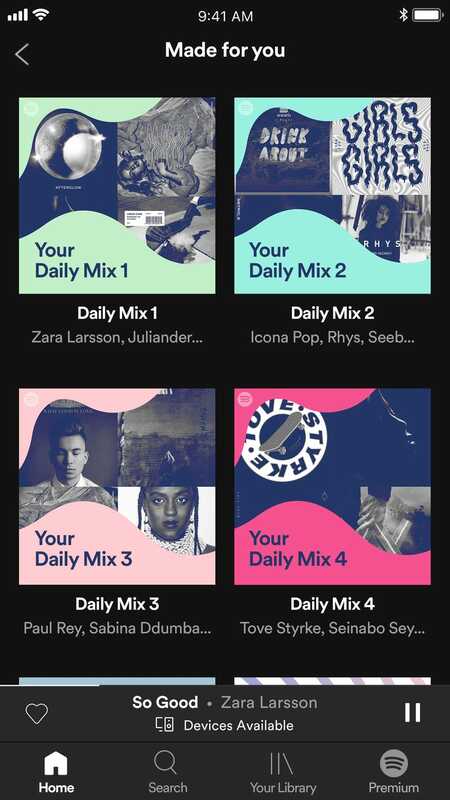 The updated mobile app will enable users of Spotify's free plan to select up to 750 songs a day from personalised playlists such as the Daily Mix, Discover Weekly, Release Radar, and Spotify's own editorial playlists such as RapCaviar. The update will be rolling out globally over the next few weeks, Spotify said. If you really love Today's Top Hits and want to hear Post Malone's hypnotic track "Psycho" on a major playlist, that will be available to free users without any friction. 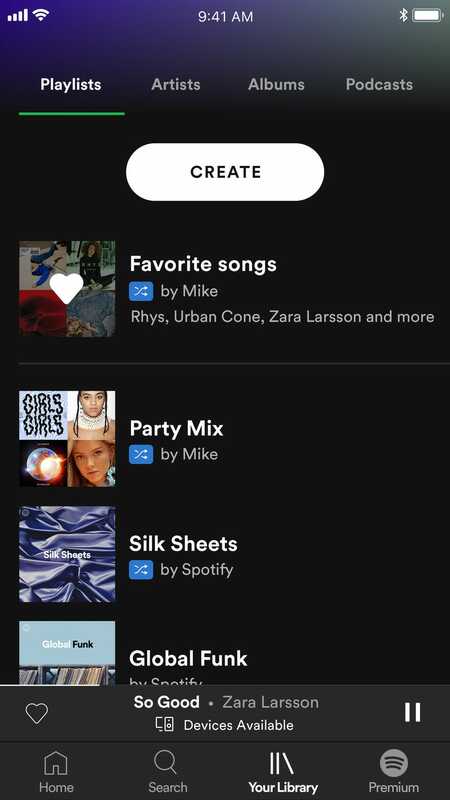 The updated free version of Spotify's mobile app will include algorithmically suggested songs for user-created playlists. It will also include a data saver option that can apparently decrease the mobile app's data usage by as much as 75 per cent. Spotify directly listed on the New York stock exchange earlier this month. Even with over 70 million paying subscribers and 157 million total users, Spotify needs to continue to grow and build a more sustainable business. Behind these new features that Spotify is giving away, the company appears to be arguing that if it offers more up front, it will eventually be able to convert more paying users down the road. Rumours swirled ahead of this week's announcement, as some speculated Spotify would announce a hardware device designed for cars as an alternative to radio. That product wasn't announced at this event. Instead, Spotify revealed a tweak to its core platform. 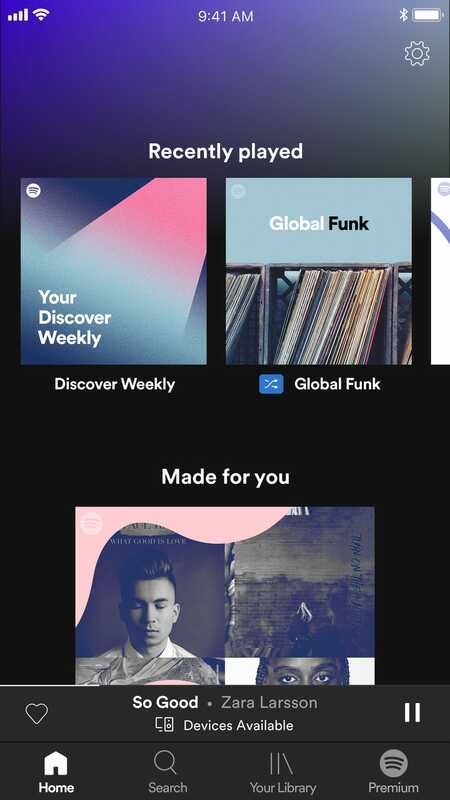 Though it wasn't mentioned directly, Spotify seems to have focused on international markets with this week's upgrade - markets that are typically more resistant to subscription models. A slide in Spotify's presentation showed that a country such as Vietnam featured a large majority of users who rely on Wi-Fi, hence the upcoming data-saving feature. Here's a closer look at the update, which Spotify says will land on both iOS and Android "in the coming weeks" for all non-paying users.